A chemist by training, Prof. Gurney’s first research appointment was in 1963 as an analyst in Prof Louis Ahrens research team in the newly formed Department of Geochemistry at the University of Cape Town (UCT). Trace element studies on mantle xenoliths lead to a PhD from UCT and a postdoctorial fellowship at the Smithsonian Institution, Washington DC. The latter under the mentorship of Drs. 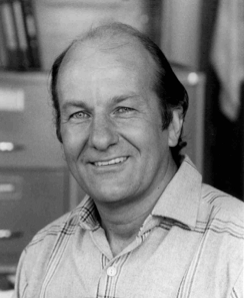 Brian Mason and George Switzer, where Gurney gained experience of electron probe microanalysis. Returning to Cape Town in 1972, he was appointed head of the newly created Kimberlite Research Group (KRG), a position he held until his retirement from UCT in 2004. During this period the KRG was a prolific source of mantle related postgraduate theses and publications in scientific journals. UCT hosted two very successful kimberlite conferences (in 1973 and 1998) with him as principle organiser and the KRG attracted many visiting scientists from overseas to participate in joint research projects. Since his official retirement from UCT, Prof. Gurney has maintained an interest in mantle research, writing papers and consulting in the mineral exploration industry. He has done the latter through Mineral Services, a company he created, now managed successfully and expanded by his son, James Gurney. Having first studied mantle-derived rocks and minerals in 1963 he has, over the ensuing 50 years, been an avid collector of these in the field. Starting with his position as head of the KRG he has been responsible for the management of the Mantle Room xenolith collection, which has not only provided the basis for numerous academic projects but also proved useful to diamond exploration programmes in industry. Dr. Phil Janney obtained his PhD in 1996 from the University of California, San Diego-Scripps Institution of Oceanography where he worked primarily on the trace element and radiogenic isotope geochemistry of Cretaceous seamount and oceanic plateau lavas and seafloor basalts from the western Pacific Ocean. He became interested in kimberlites and related alkaline igneous rocks and their mantle xenoliths while a postdoctoral researcher, first at the University of Cape Town under Prof. Anton le Roex and later at the Department of Terrestrial Magnetism, Carnegie Institution of Washington under Drs. Rick Carlson and Steve Shirey. In this latter position, he studied the petrology and geochemistry of mantle xenoliths from off-craton kimberlites in South Africa. 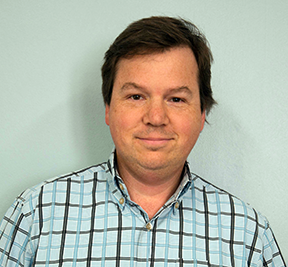 Phil also has a long-term interest in meteorites and isotopic applications of plasma mass spectrometry. He was Manager of the Isotope Geochemistry Laboratory of the Field Museum of Natural History in Chicago (USA) from 2000 to 2006 where he worked closely with colleagues from the University of Chicago to develop techniques for the measurement of radiogenic and stable isotope systems in meteorites and experimental analogues by the MC-ICP-MS technique. This was followed by a move to Arizona State University where he was an Associate Research Scientist in the Center for Meteorite Studies from 2006 to 2012. During this time, Phil applied the ultra low-contamination techniques developed for cosmochemical study of meteorites to the isotope geochemistry of mantle peridotite and megacryst minerals. 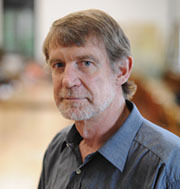 His main research themes include (1) characterizing the sources and petrogenesis and determining the ages of kimberlites, carbonatites and other alkaline mantle-derived magmas, (2) comparing the melt depletion and metasomatic histories of on- and off-craton mantle lithosphere through the study of peridotite xenoliths and (3) constraining the origin of kimberlite megacrysts and determining the nature of the relationship to their host kimberlites. As a geologist with a geophysics PhD, Beth enjoys participating in projects which combine very different branches of science to understand the Earth. She is currently interested in the recent tectonic evolution of southern Africa, especially the application of paleoseismology to understand the kinematics and timing of recent earthquake faults, as well as the role of mantle in supporting elevated topography across the continent. 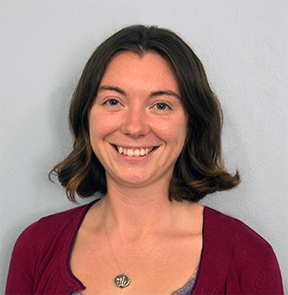 Within the mantle research group, she is interested in combining geophysical methods with insights from the geochemical study of mantle xenoliths to investigate large-scale continental dynamics. 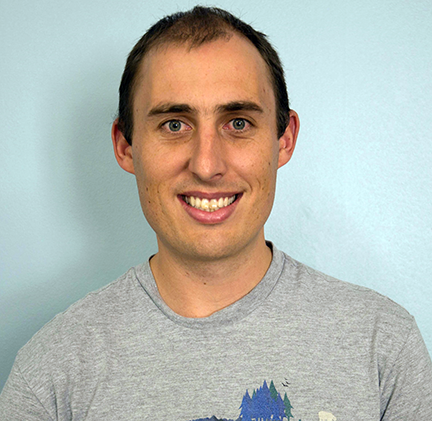 Richard Kahle is a geophysicist with interests in geodynamical processes, modelling and seismic imaging. He is currently involved in processing and analysing three dimensional volume data from x-ray CT scanning of diamondiferous eclogites. Richard studied mathematics and physics at UCT before completing his PhD in geophysics in Cambridge, where he used active and passive source seismology to investigate the kinematics of a propagating segment of the Mid-Atlantic Ridge. He has since worked in both earthquake seismology and exploration geophysics before returning to academia as a post doctoral researcher at UCT. Professor Anton le Roex obtained his PhD at UCT in 1980. After a postdoctoral fellowship at the Woods Hole Oceanographic Institution in Massachusetts (USA), he returned to UCT to take up an academic staff position in the Department of Geochemistry (later to be merged into the new Department of Geological Sciences). Much of his scientific career has been devoted to the study of mid-ocean ridge basalts from the Southern Ocean and basalts from South Atlantic ocean islands, as well as the study of alkaline igneous intrusive complexes in northern Namibia associated with the Etendeka flood basalt province and the initiation of the Tristan mantle plume. 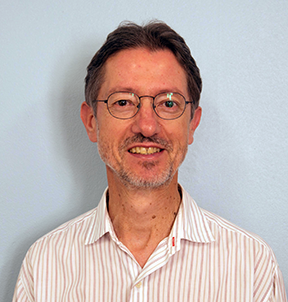 He has published extensively on the geochemistry of kimberlites and lamprophyres, as well as on the petrology and geochemistry of southern African mantle xenoliths. He is currently Dean of the Faculty of Science at UCT.